Can I Just Spend My Pay Cheque At The Disney Store?! Pay day is approaching and I feel like it's taken forever to appear again. Over the past few weeks I've been on various websites thinking "I'm so going to get that when I get paid" etc etc. However the Disney Store currently has me wrapped around it's pretty little finger with all the Bambi & Thumper items they have at the moment. So one question! Is it really that bad if I want to spend my pay cheque at the Disney Store? Thumper Plush: I'm sure you'll know my love for Thumper by now as he's basically featured in every single one of my Instagram posts. However Thumper the cushion could do with a Thumper the plush companion. AM I RIGHT!? I have a Thumper backpack from Disneyland Paris but because he's a bag he doesn't sit right so I have him hanging on my bed post, so this is why I need a plush, so I know he'll sit right on my bed! Plus just look at him, he's bloody adorable! Bambi Plush: Of course if I get a Thumper plush I can't leave without a Bambi one, they're best friends after all! Plus he'd look super cute on my bed beside all my pillows. THINK OF THE INSTAGRAM PEOPLE. You have to admit though my Instagram background is definitely missing a Bambi and well this is the only one the Disney store seems to do so I need him! Bambi & Friends Tsum Tsums: I have wanted these for the longest time but when I finally went to the Disney Store after Christmas they didn't have them in stock. Ridiculous right! But I mean these would just finish off my little Instagram background, also known as the cushions on my bed. Plus I tweeted about them and Courtney from Blush and Blend sent me a picture of her tsums and they're just so adorable and it made up my mind 100% that I am totally buying these! Bambi Mug: What, you really thought I'd want the Thumper mug and not the Bambi one too! Look at it! Are you not aah-ing at the cuteness. Like I am literally dying looking at it, I need it in my life. Plus then they can be mug friends, can't buy one and not the other! Thumper Bowl: I don't really eat cereal however I would if I had this bowl. Basically it's at the stage where the Disney Store could put Bambi & Thumper on anything and I would want it! But you have to admit it is pretty darn cute, you could even take selfies with it to make it look like your mouth! Countdown to Payday is on & as soon as it's here you'll have a pretty good idea of what I'm spending it on! 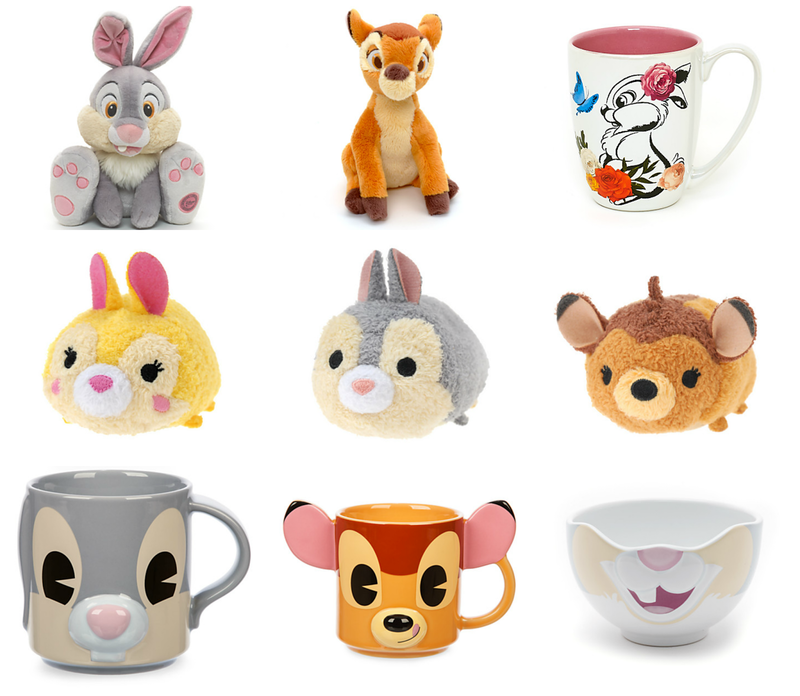 OMG, that Thumper mug is literally the cutest thing ever! I seem to have developed an addiction to cute mugs recently! !